Child safety is the core concern for anyone installing, managing or manufacturing commercial playground equipment for public space use. 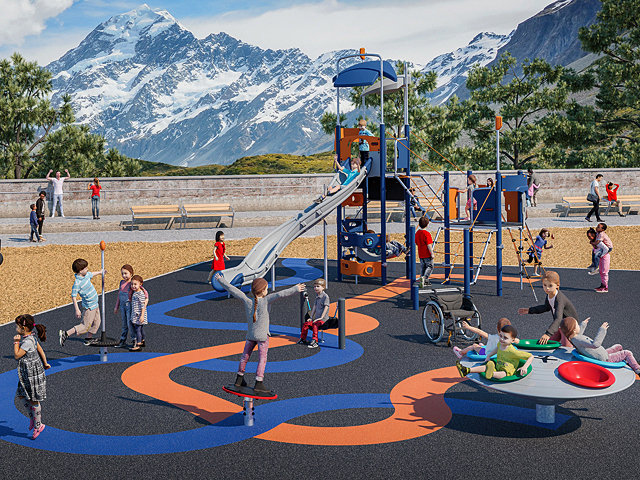 Designers of commercial playground equipment seek to promote an understanding of play and risk, and develop standards in the design, plus workmanship and installation of equipment. Designers are taught to encourage appropriate thrill and reward from assessing and taking risk in children’s play. The best practice in commercial playground equipment often offers visible challenge and risk, which is delivered within well-developed safety standards. The purpose of commercial playground equipment is to help children develop physical coordination, strength and flexibility as well as providing recreation and enjoyment. Professionals in the field of Psychology recognize that the social skills learned while mucking around with others commercial playground equipment become lifelong skills that are carried forward in to adulthood. Research continually affirms that playgrounds are the most important environments for children outside of the home. The traditional pieces of commercial playground equipment for public space use are the see-saw, swings, merry-go-rounds, slides, jungle gyms, chin-up bars, sand boxes, spring riders, monkey bars, trapeze swings, playhouses and mazes. 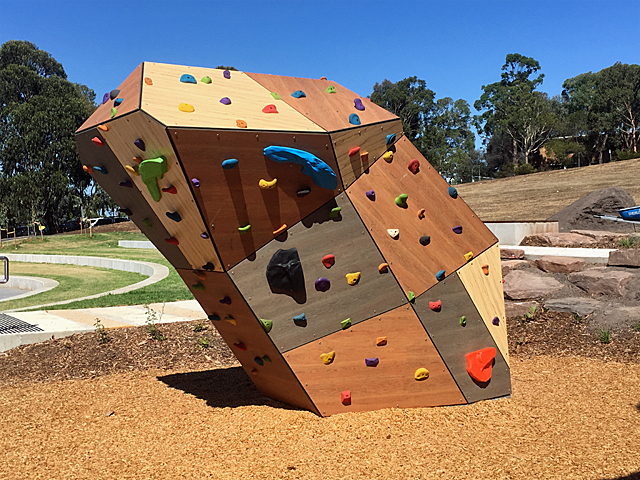 Interlinked pieces of commercial playground equipment are called play structures and are designed to create a broader sense of challenge or journey. Much of the research and development in the field of commercial playground equipment has occurred in the last 30 years, and has focused on managing falls. As a result commercial playground equipment has changed over the towards a greater use of strong materials with softened edges, using shape, safe plastics or nylon ropes. Floor surfaces under commercial playground equipment have become softer - soft plastic materials, mulch or sand - to help cushion the impact of falls. Much of the work of commercial playground equipment designers focuses on reducing the likelihood of a child falling, and reducing the severity of a fall if it occurs. This is done by reducing the height of the equipment, using barriers, and installing soft surfaces under the commercial playground equipment structure. Not all of the commercial playground equipment out there is designed to create a physical experience. A current trend in commercial playground equipment is the addition of the “Friendship Bench” – a mutually agreed special bench that children can go to in the school playground if they need someone to talk to. There are varying design philosophies behind different types of commercial playground equipment. 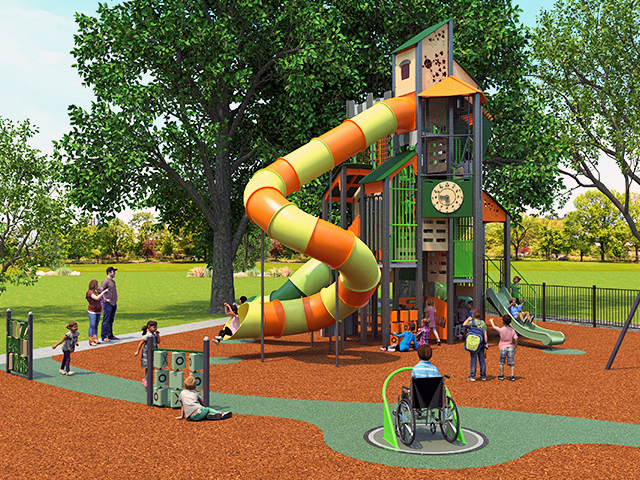 Inclusive playgrounds for example are designed to facilitate inclusive play between children with and without disability or developmental differences. 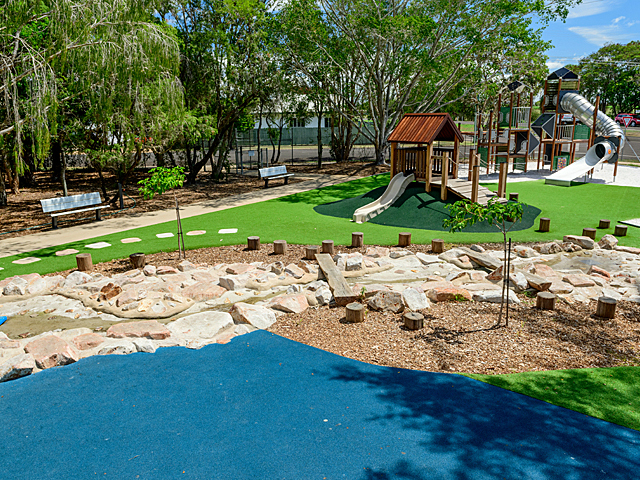 Natural playgrounds are designed to involve local vegetation, creeks, rocks and landforms within the play space itself so the children gain an appreciation of the intricacies of nature during play. Empower playgrounds are a relatively new phenomena where children’s play is connected to electricity generators, creating power for third world villages. Connection to the natural environment in some form is considered advantageous, and is often the focus of Landscape Architects who are specifying for playgrounds. A Playscape is a space that uses the natural environment as the basis for the play activity, with commercial playground equipment either absent or added as an adjunct to the experience. 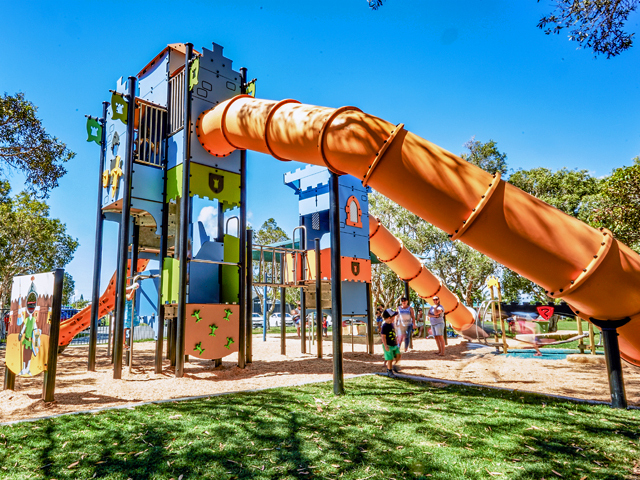 Commercial Playground Equipment is subject to an inspection regime by accredited Playground Inspectors who are trained by The University of Technology Sydney and are registered by The Register of Playground Inspectors of Australia. Designers of commercial playground equipment often call themselves “Playworkers”. 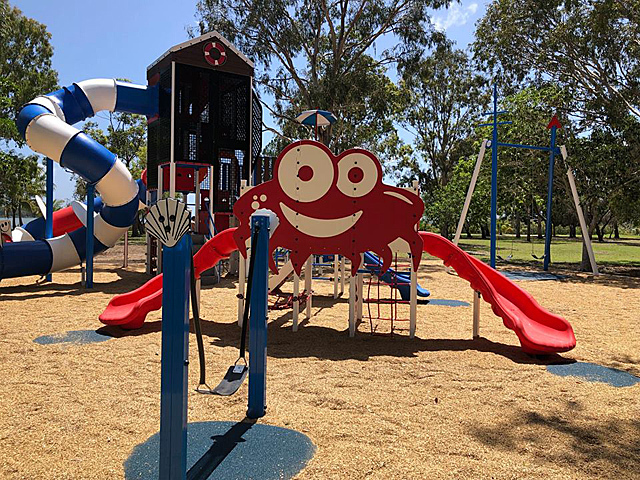 Playworkers, installers and manufacturers of commercial playground equipment are generally seeking to provide a quality and diverse play experience for children, coupled with a process that allows for continuous innovation and improvements in the area of child safety. Outdoor Design Article Tags: Commercial Playground Equipment. Playscapes. Playground Inspectors Australia. Standards Australia. Playground equipment structures. Safety in commercial playground equipment.